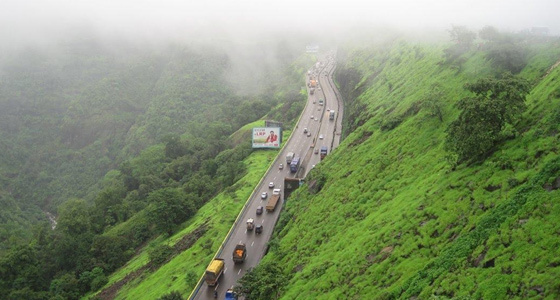 Khandala is one of the exotic hill stations situated at a height of about 625 meters in the Western Ghats of Maharashtra. With picturesque grassy hills, sparkling lakes and captivating valleys, Khandala offers stunning views of the beautiful landscape leaving travellers with an everlasting impression. This hill station has seen the rise and the fall of many kingdoms such as the Marathas, Peshwas and even the colonial power of European countries. Some of the renowned destinations of Khandala include Tiger Leap, Amrutanjan Point, Bhushi Lake, Duke's Nose, Karla and Bhaja Cave. 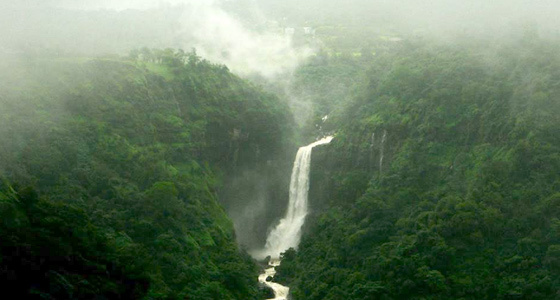 At Tour My India, we offer an exciting Khandala Weekend Tour of 2 nights and 3 days. With our tour, you can have a holiday trip of your life that you have ever dreamed off. We ensure you have a superb holiday experience with any lifetime picture perfect moments. Meet on arrival at Mumbai Airport / Railway station and drive to Khandala. On arrival check-in at hotel. Later visit to local sightseeing of Khandala Tiger Leap and Amrutanjan Point. Overnight stay at hotel. Tiger Leap : It is one of the most fascinating places in this area. If someone carefully observes the valley from this point, it will appear as if a tiger is leaping into the valley. Thus, the place has been named as Tiger's leap. Special arrangements have been made for the tourists to view the panoramic site of the valley, via the safe confines of a big hole from this point. Moreover, for an enthralling experience, throw a stone from this point and see it topple down the valley and get destroyed. Amrutanjan Point : Amrutanjan point is yet another point located high up in Khandala. It provides excellent view of the places nearby. As there is a lot of flat space available here, the point is a well suited location for an enormous sight of the valley as well as the Duke's Nose. Besides, you can also see the city of Khopoli from here. 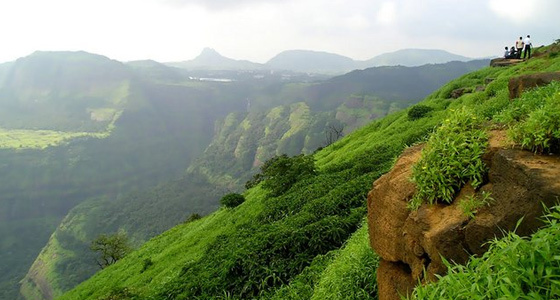 It is situated at the end of the first slope, as you enter Khandala. Bhushi Dam : This is definitely one of the most exciting sites to visit in Lonavala. This dam has a beautiful waterfall in the vicinity, which is a must see. The surrounding area of the dam has been developed into a beautiful catchment area for tourists to enjoy. 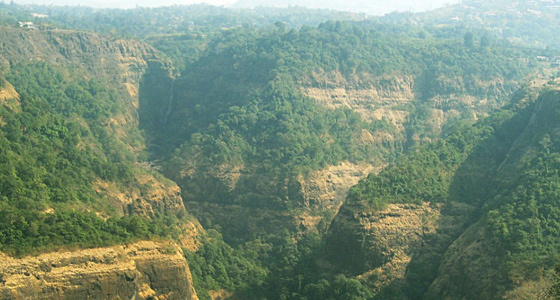 After breakfast take a tour of Khandala visit Duke's Nose, Karla and Bhaja Cave, Bhushi Lake. Evening free for your leisure activity. Overnight stay at hotel. Duke's Nose : Duke's Nose is a cliff here, which has been named after the Duke Wellington, as he had a pointed nose, which the cliff resembles. However, it is also known as "Nagphani" (Hood of Snake), as it also looks like the hood of a snake. Duke's Nose can be easily reached from INS Shivaji and Kurwande Village. Apart from its scenic beauty, it also attracts visitors with its mountain climbing trails. Karla and Bhaja Cave : Karla and Bhaja Caves are historical rock cut caves, situated at a distance of 16 km from Khandala. They are one of the main attractions here, due to their enormous antiquity and beauty. Located amidst hills, their origin dates back to the 2nd century. These caves belong to the Hinayana sect of Buddhism and are one of the finest examples of rock cut caves in India. Bhushi Lake : Bhushi Lake situated in Khandala is the ideal spot for all those who wish to relax in the lap of Mother Nature. Its serene and tranquil surroundings and crystal clear water provides immense opportunities for the tourists to rest in peace.